This International Women’s Day 2019 seemed like a perfect time to bring you up to date on the activities of the Soroptimist International President’s Appeal ‘Women, Water & Leadership’ (WWL). We will look back at why and how WWL was started, what has been done so far, and what is planned for the remainder of 2019. We will share some really touching stories about the women who are benefitting directly from the WWL projects. We also want to thank you for the support you have given to WWL until now and ask you to keep up the good work and support WWL through its last year. At present a total of £245,000 have been raised! We also want to stress the importance of SDGs 4, 5, and 6: Quality Education, Gender Equality, and Clean Water and Sanitation. Achieving the SDGs by 2030, and these three in particular, is equal to realizing Soroptimist goals. Soroptimists have been fighting for gender equality for almost a century. And yet so much has yet to be improved. We must to do that as women, otherwise it will never happen. One of the fastest growing global challenges of our time is lack of access to water (SDG6). Water is the source of life for every single living being on the planet and essential for economies to thrive. Water scarcity and lack of sanitation facilities have an immense impact on the lives of women and girls. Instead of earning an income or being able to go to school (SDG4), women and girls are forced to be the primary water carriers for their families. However, it is precisely because women and girls are so much impacted by water that they are uniquely positioned to lead the way to a future that guarantees water for all, for all purposes (SDG6) and a better position for themselves as women and girls (SDG5). Conditions need to be created to facilitate women to play their role as leaders to achieve equal access to water for all uses. This can be done by making finances and funding available for empowering women in water related fields and achieving gender equality in respect to water and providing vocational training at different levels (SDG4). What is WWL doing to make that happen? The main goal of WWL is to educate, empower and enable women and girls to take the lead in the water sector as actors and experts. WWL encompasses a global programme uniting Soroptimists from all over the world as a global voice for women. WWL will give women and girls the capacity, experience and (vocational) education they need to manage water resources, improve their lives economically, and gain careers in the water sector. Three projects commenced during the past year in Kenya, Malaysia and Bulgaria, and a fourth project is starting in the earthquake disaster area in Indonesia. These projects all aim to teach women how to collect, store, clean, and use water in the best possible way. This knowledge will help them to secure a future for themselves and their children and give them social status in their communities. All of these projects are either managed or monitored by local Soroptimists. The projects educate local women and girls on how to build dams, rainwater harvesting systems, toilets, and irrigation systems, how to lay pipelines, and how to educate the importance of hygiene. 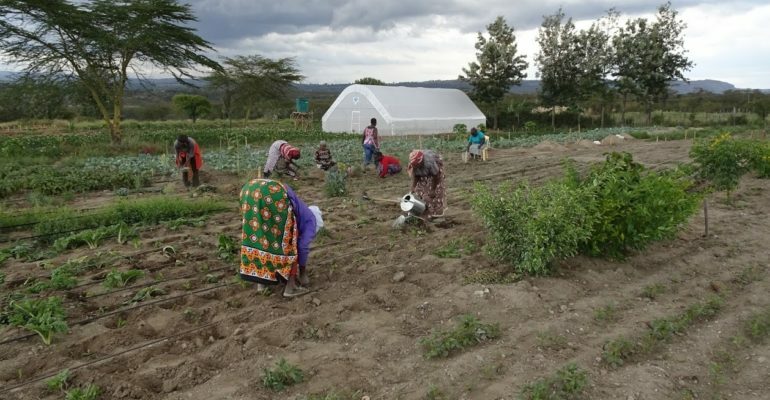 The women and girls participating in the projects also receive vocational training in agricultural best practices and the use of seeds and vegetation for their specific soils, so that their yields can double. The results of this are already being seen. This improves their standard of living as they earn more money for their family and also improves the standard of living in their communities. The women earn respect, their knowledge is valued, and the sustainable life style is now important for the whole community. 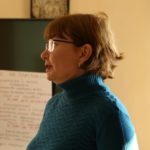 As a part of the WWL project in Bulgaria, Mrs. Rositsa Nikolova, MD, teaches rural women about the plastics crisis: safe handling of plastic packaging and plastic products and most importantly, how to dispose of all the plastic that floods their communities. As a result, the women understand their personal responsibility for preventing plastic waste from flooding and blocking the local river. Stayka turned into a veritable community celebrity and media star. The street she lives on was fully destroyed by water erosion. It had not been repaired for 30 years. Stayka took part in the WWL Bulgaria project’s training sessions for rural women on citizens’ rights. She felt empowered and went a-lobbying. 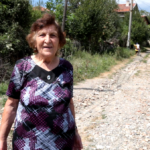 She managed to convince the local government to reconstruct the street! 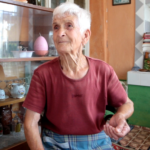 Stoyka was also empowered by the training organized by WWL in her village in Bulgaria. She gained knowledge that helped her identify why her yard and garden had been flooded for months. The extra water came from a broken pipeline. She was able to justify before the water supply company that it was their responsibility to repair the damage – a repair her family could not afford to pay for otherwise. Now, she can now relax and concentrate on her self-sustained garden and care for her sick husband. Marinela-Christina, Elena and Plamena are part of the WWL community in Bulgaria. The WWL project empowered them to stand up and declare that they are Roma, and that they are proud to be part of the women activists group in their village, shoulder to shoulder with their moms and grannies. A photo exhibition of their women activists group was presented in the Regional Library of Stara Zagora, Bulgaria. Milka learned about smart food production, minimum use of water, crop management, marketing, and post-harvest crop management in the WWL project focusing on food security and economic empowerment in Kenya. Milka practiced what she learned and her produce quadrupled from 5 x 90 Kg to 20 x 90 Kg bags of maize. She can now feed her family, market her produce, and stock some for future use. This has economically empowered the family and improved their health. Laisah, head of the Women’s Association in Kampung Gana in Sabah, is very happy with the new gravity-fed water system installed in her village through the WWL Malaysia project. 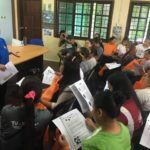 She attended training offered by the Clean Water Project launched in Kota Kinabalu, Sabah, on 19 January 2019. She says “Now I don’t have to worry about getting clean water for cooking and drinking”. 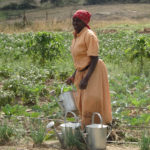 Now that there is a regular supply of water, she is keen to move onto phase 2 of the project involving organic farming. All Soroptimists are part of these wonderful life-changing projects and you can do more and make an even bigger difference! How can you have a real impact and create a global change? If every Soroptimist made a small donation, maybe the price of a lunch out with one of your Soroptimist sisters, together we would change the lives of many women, girls, and their communities for generations to come. This sounds incredible, but it is true if we all join hands and donate to the SI President’s Appeal ‘Women, Water & Leadership’. Supporting WWL means helping to achieve SDGs 4, 5, and 6, as we educate about use and management of water and empower women and girl to achieve gender equality. During the SI Convention in Kuala Lumpur from 18-21 July 2019, you will have the opportunity to learn more about the WWL projects and meet some of the girls and women involved. We hope to meet many of you there.